I am thrilled to announce my return to Lucca next spring. Come along and be prepared for lots of amazing food, new friends, stunning scenery and lots of laughs. I’m available to help you with your travel plans so get in touch! Due to the unpredictability of the value of the US dollar versus the Euro, this price is subject to change. Your price will be the one quoted at the time of your deposit. Deposit: $975 is due within seven days of making your reservation. Balance is due 90 days prior to the first day of the trip. Deposit is non-refundable. We will be staying in a beautiful, large apartment in a recently restored 15th century building located in the heart of the historical center of Lucca. It’s just a short walk to the ancient walls surrounding the centro storico-the perfect place for a walk or bike ride with a bird’s eye view of the town. Our week will focus on food and wine of Lucca and the surrounding area. No trip to Tuscany is complete without a visit to Florence, so we will spend a day there exploring, tasting and shopping! It is strongly advised that you purchase trip cancellation insurance as cancellation fees apply regardless of reason for cancellation. Check out information at www.insuremytrip.com. Airfare, transfers from airport to and from Lucca, travel insurance, phone calls, laundry services, alcoholic beverages other than host ordered. Schedule subject to change. Contact me at paninigirl4@gmail.com with questions or to make a reservation. *For years my husband and I traveled independently through Italy. After losing him I wondered if I would ever be able to go again. Panini Girl made that possible. Her depth of knowledge and love of Italy shine through in the trips she planned for us. Traveling with her was relaxing and enjoyable while still being an interesting and exciting adventure. This trip taught me there are many types of experiences to be had and enjoyed in life with others. I look forward to my next travel with Panini Girl. Valerie D.
*The Panini Girl experience is an all encompassing look at the gastronomic landscape of Tuscany. With it’s old world charm and small town feel, Lucca is the ideal home base for the week’s activities. This was my first trip to Italy and I look forward to returning soon to discover more with Panini Girl. Abbie M.
*This was a trip of a lifetime for me! Being a novice traveler I felt safe and comfortable and really enjoyed the itinerary. It was great to have someone facilitate the details. I enjoyed everything about this trip-the food we ate, the wine, the scenery and the beautiful country of Italy. Thank you Panini Girl! 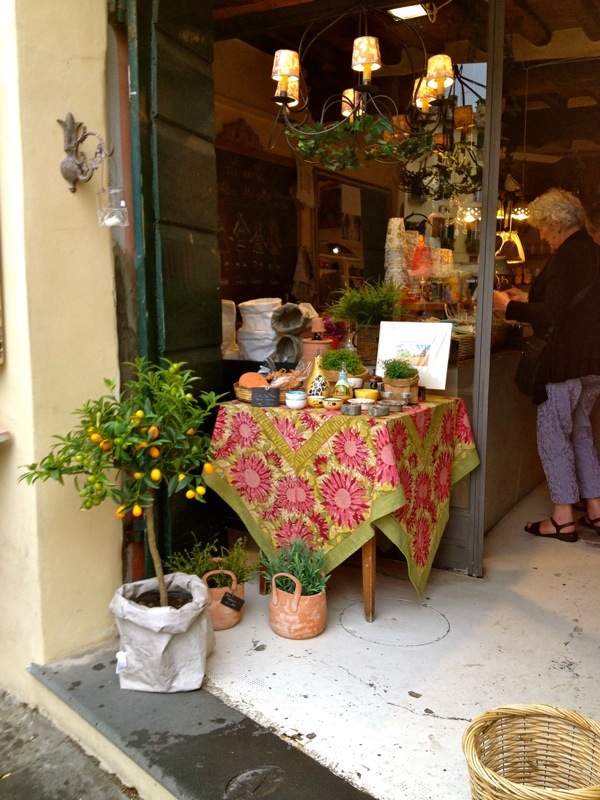 Gail S.
*My trip to Lucca in with Panini Girl far exceeded my expectations, which were already quite high. Our apartment was beautiful, spacious, centrally located and the kitchen was the perfect place for the hands-on cooking lessons. The trips were perfectly planned and varied. We took a food tour of Florence and hit every culinary highlight from aged balsamics to gelato and ended with a tasting in a beautiful wine cellar. Our trip to a nearby open market provided fabulous food for our dinner one night. We visited a centuries old sheep farm and watched as owners made pecorino and fresh ricotta and prepared homemade pasta for our fabulous farmer’s lunch feast. Somehow we still found time to shop for souvenirs and relax with personal down time from our planned activities. I really look forward to another trip with Panini Girl. Patti O. *If you have ever imagined your dream vacation would take you to Tuscany, let Panini Girl be your guide! I had the great pleasure of joining Janie and her group, now all wonderful friends, in beautiful Lucca, Italy this past spring. Our accommodations were spacious and lovely, only steps away from all that Lucca has to offer. The week was filled with memorable experiences, and it goes without saying, amazing food and wine. The interactive cooking class with a local chef was unforgettable! The day trip to Florence was also a highlight, with a private food tour of the great Market, and yes, incredible shopping. My favorite day was spent high in the mountains with a farm family, making pecorino cheese and enjoying a feast that they prepared for us. The people of Lucca are so warm and gracious. Whatever your pleasure may be, you will find it on this trip of a lifetime! Bonnie D.
*Our food tour to Lucca with Panini Girl was the best!! She took care of every detail! I thought we’d be on the run, but it was busy while relaxing at the same time. Our apartment felt like a villa-plenty of room with a great kitchen to eat, drink and prepare delicious food!! The location was central, where charming shops and markets abound. Janie had a perfect itinerary-plenty of local interesting tours that felt intimate as well as some sight seeing and a trip to nearby museum which rounded out the plan. Our day trip to Florence was perfect-lots of food and wine tastings ending with plenty of time to shop! Every detail was covered from tips on travel to phones-and secret-best places to buy food and stroll. All of the other tours and guides that Panini Girl organized were very knowledgeable and fun!!!!! We saw and felt we knew Lucca and it’s local flavors and flare by the time we departed. Our driver was terrific-helping us navigate an otherwise confusing area. My trip to Lucca was wonderful! I highly recommend traveling with Panini Girl to anyone who wants to stay in the authentic, incredibly beautiful, friendly city of Lucca, in Italy. 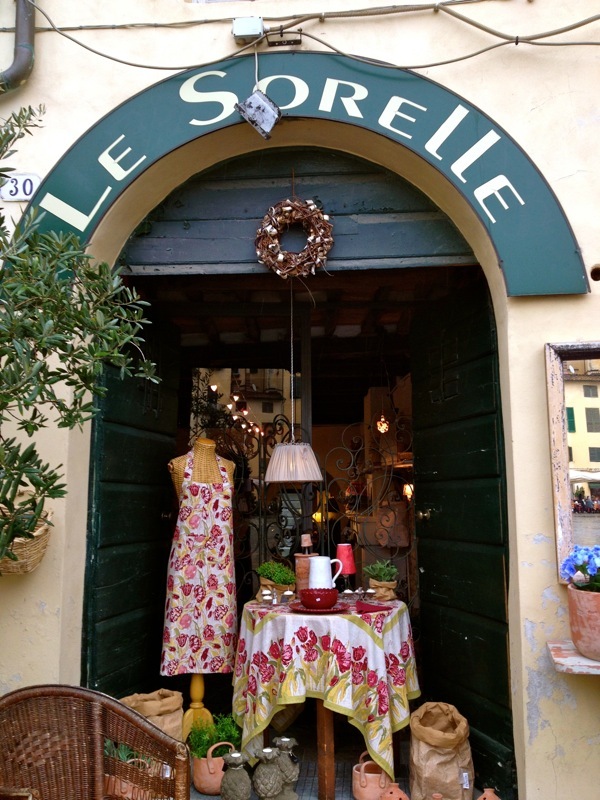 Laurie D.
*Janie has put together a trip to Italy that you will never forget! She is very organized and calm and even speaks italian. Janie has researched and made many contacts who will augment your wonderful week with local food, wine, tours and friendships. I loved my week in Tuscany with The Panini Girl.